By including a wide variety of supporters of different professions, ethnicities, and political and religious convictions, the German campaign ‘Save Me – A City Says Yes’ manages to reach beyond the usual refugee advocates. On a bench in the timid March sun I meet Abdulkareem, one of the refugees who, through the Save Me initiative, has been able to rebuild his life after years of flight. In 2007, he and his family were forced to escape from their home in Baghdad. Two years later they arrived in Germany. – When we came to Germany, we expected a first-class developed country where everything would be organized perfectly. After their arrival however, the reality proved them wrong, he tells me. They needed to stay in a camp and it was challenging to find an apartment. Abdulkareem’s youngest child had to wait for a kindergarden place for two years. – The authorities did not take care of us. There was no office in charge where we could turn for help, and there were no visits by state officials to the camp. What helped them to deal with all difficulties at the beginning, Abdulkareem explains, was the support by NGO’s and the volunteers working for the Save Me campaign. The campaign, now with branches in over 50 German cities such as Berlin, Dresden and Bonn, is supported by a coalition including PRO ASYL, Amnesty International, and local welfare organisations as well as churches. Günter Burkhard is Secretary General of PRO ASYL. – At a time when the concept of solidarity is under increasing pressure, the Save Me campaign proves the veracity of the maxim ‘think global, act local’, he says. The campaign is independent from governmental funding, and therefore relies heavily on volunteers who pledge their time to support resettled refugees after having arrived. 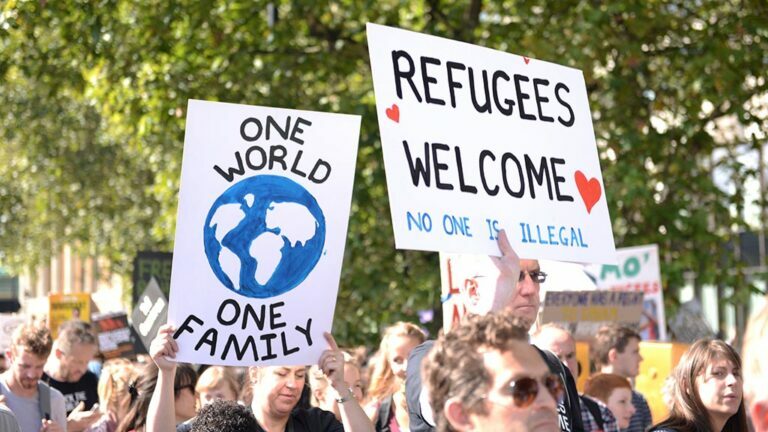 Even though the ‘Save Me campaign’ is one of the local initiatives for a culture of welcome in Germany, there are other collective actions connecting European countries’ pro-refugee agendas on a global scale. The European Resettlement Network serves as one of the main actors in supporting the development of resettlement in Europe. By connecting local European actors with a shared commitment to refugee resettlement, a network has been created with a common goal of actively working towards durable solutions for refugees. Not only is resettlement a means to provide international protection, but it also functions as an instrument contributing to international solidarity and responsibility-sharing. According to UNHCR, resettlement is defined as the selection and transfer of refugees from a State in which they have sought protection, to a third State which has agreed to admit them – as refugees – with permanent residence status. The status ensures protection from refoulement and aims to create a pathway towards citizenship in the resettlement country. In the cases where voluntary rehabilitation and local integration is challenging to reach, resettlement works as an effective option to meet the basic needs of refugees whose life, freedom, safety and health is at risk in the country in which they initially sought protection. Subsequently, the resettlement constitutes a tool to relieve pressure from countries who are hosting large numbers of refugees. Through resettlement, access to civil, political, economic, and social rights are granted to refugees, carrying with it the opportunity to become a naturalized citizen of the resettlement country. In September 2017, the European Commission issued a recommendation to expand legal channels into the European Union for third-country nationals in need of international protection. Admitting UNHCR’s expected resettlement needs for 2018, including 1,2 million people worldwide, the Commission called for the resettlement of at least 50,000 individuals by the end of October 2019. The scheme includes geographical priority for resettlement from Turkey, Jordan and Lebanon. However, the Commission also emphasised the need to resettle from African countries along the Central Mediterranean route, where Libya, Egypt, Niger, Chad, Sudan and Ethiopia serve as main target countries. A core group for enhanced resettlement and complementary pathways along the route was created to expand the efforts for this issue. The group consists of global resettlement states, IMO, the European Union and UNHCR. For Abdulkareem, the living conditions have improved dramatically since he and his family arrived in Germany. – By now we understand many of the German laws and customs and the city and its culture. The most important thing however, he continues, is that he and his family feel secure again and do not live in fear of the future or of breaches of their human rights. In a time where political unrest and xenophobia sweep the world, initiatives like the Save Me, and PRO ASYL campaign serve as a lifesaving counterpole. Abdulkareem’s journey is only one out of many examples where refugees have received the necessary support to continue their life after having suffered violent conflict. – What still proves difficult is improving my German and as a result finding a job which is the backbone of any prosperous life. I want to find a job as an engineer as I once was. 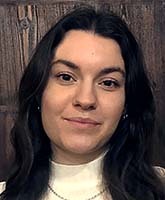 Pauline af Ekenstam studies Peace and Development Studies at Uppsala University. She is currently on exchange in Konstanz University in Germany and is volunteering as a FUF correspondent. iVärlden är FUF:s korrespondenter som består av unga globetrotters och utvecklingsentusiaster. De befinner sig runtom i hela världen och rapporterar från platser vi sällan hör något om. Hur EU driver sin politik i Mellanöstern kan vara avgörande för möjligheten att uppnå fred mellan Israel och Palestina. Det skriver en lång rad av före detta utrikesministrar och regeringschefer i en debattartikel. Samtidigt uppmärksammas EU:s nya regler om import av mat. Välj mellan våra olika nyhetsbrev. 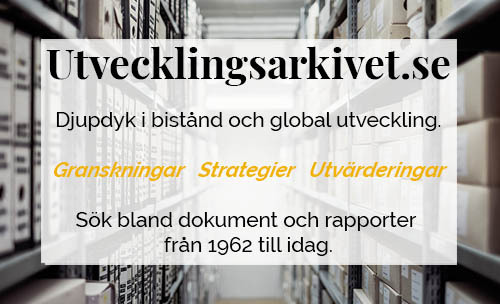 Vill du hänga med inom global utveckling? Prenumerera på vårt nyhetsbrev, för att få koll på det senaste.